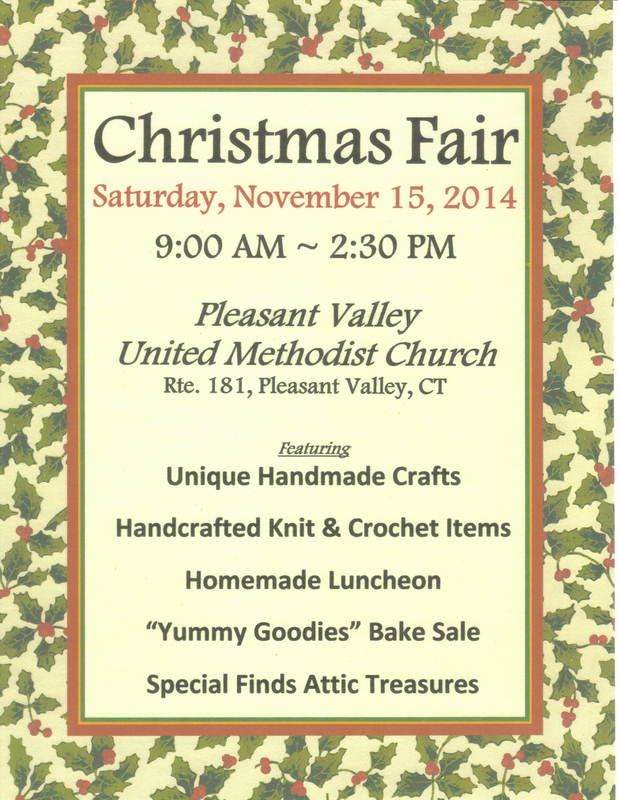 The annual Christmas Fair, hosted by the United Methodist Women, will take place this year on Saturday, November 15th from 9:00 AM to 2:30 PM. There are lots of things to see to help you get your holiday shopping started. We’ll offer a Bake Sale table filled with goodies to entice you; a Knit/Crochet Room that offers handmade items to keep you and your loved ones warm this winter; lots and lots of handcrafted items from the practical to the unique to items just for fun; Granny’s Attic will offer items that are treasures to be found, and our Christmas Cafe will be open to serve you and your friends a hearty, homemade lunch.